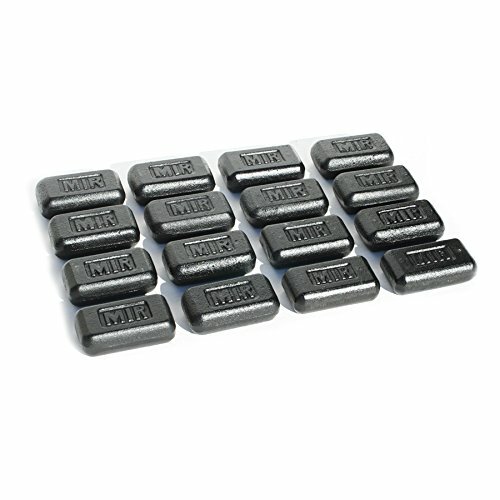 Set of MIR 3lbs weights can be used to add weight to your current MIR weighted vest if weight pockets are empty. MIR weights are compact and can also be used in any other weight vest if the pockets are able to hold the weights safely. Weights are covered with anti-rust clear coat with official MIR letters engraved into the weights. Iron weights. Dimensions: 4" x 2.5" x 1.5"
Compatible with all MIR short, pro, narrow, women's, air flow models. Also compatible with MIR weighted shorts and belt. Can be used with other weighted vest if pockets are large enough.